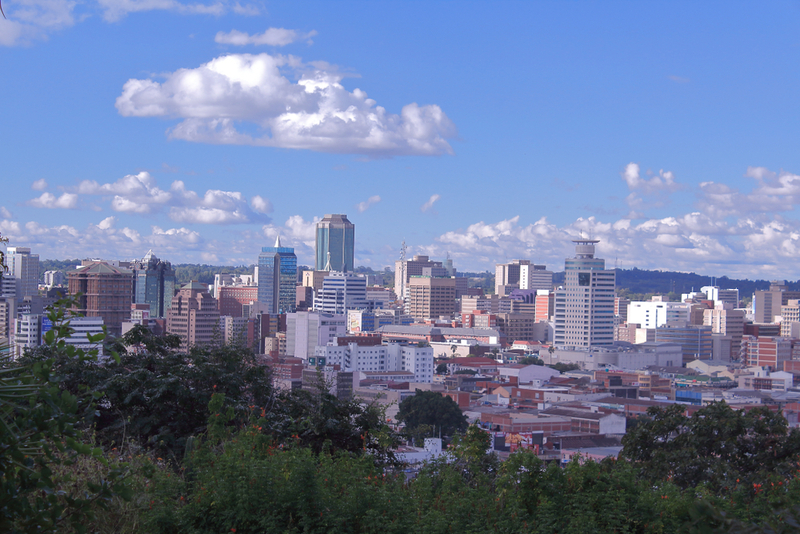 Zimbabwe's new administration prepares to tackle considerable economic problems as most investors and lenders watch and wait to see whether it is up to the challenge. In this special report for International Investment, YIGAL CHAZAN assesses both the current economic challenges facing the country and the emerging opportunities for investors. Post-Mugabe Zimbabwe is at a crossroads. A new leader, Emmerson Mnangagwa, has declared that his country is "open for business", after years of isolationism. Yet while he has made all the right noises about economic reform - and, to some extent, matched words with deeds - his commitment towards democracy and the rule of law remains questionable, worrying many potential investors and lenders. 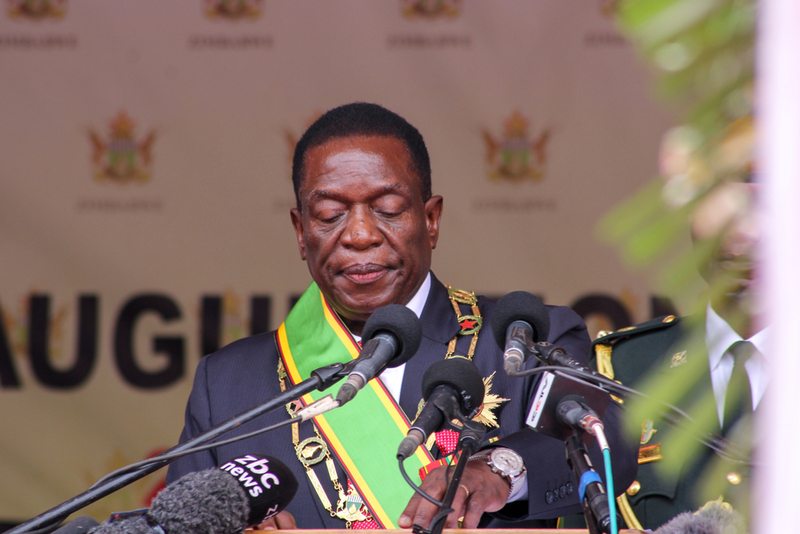 The presidential and parliamentary elections in July were seen as a test of Mnangagwa's professed willingness to end Zimbabwe's pariah status. The conduct of the poll, in which he and his ruling party, ZANU-PF, triumphed, was not deemed to be wholly free and fair by some international observers. Nonetheless, it was a major improvement on Mugabe-era ballots, largely sham contests, in which violence was routinely used to silence the opposition. Western governments, with the exception of the US administration, appear to have taken the view that, while the election was a disappointment, it was sufficiently credible for them to engage with Harare, albeit with a degree of circumspection and caution. In the wake of the election, investors and lenders will be looking to see whether Mnangagwa's alleged attempts to sway the poll in his favour and the subsequent crackdown on dissent were temporary aberrations or a sign that he might struggle to throw off the authoritarianism of the Mugabe years." Zimbabwe's path to recovery is likely to be long and difficult as it seeks to restore its long-lost reputation as a regional powerhouse and breadbasket of Africa. Zimbabwe is in the midst of an acute liquidity crisis. The availability of US dollars - the de facto national currency after hyperinflation led to the collapse of the Zimbabwean dollar - is so limited that many domestic businesses have been forced to close or are running at much-reduced capacity because they do not have the funds to import vital goods and raw materials. Investors are put off by the lack of foreign exchange and worry that even if they seize opportunities, they would struggle to repatriate earnings. All of which has taken its toll on the private sector, which has shrunk markedly with most of the working population now scraping a living in a vast grey economy. At the core of the problem is the country's huge level of debt - standing at some $16bn - which has built up over the years through reckless public spending, corruption and failed economic policies. It has been compounded by defaults on loans from multilateral institutions and, to a degree, longstanding US sanctions targeting members of ZANU-PF and a number of state-owned companies. Washington, which renewed its sanctions legislation following the election, may invoke it to prevent Zimbabwe from accessing lines of credit, unless Harare meets certain conditions, including the restoration of the rule of law and ensuring military subordination to the civilian government. The country is in need of an IMF lifeline but it must first clear $2.5bn of arrears to the World Bank, the African Development Bank and the European Investment Bank, and also seek to restructure $2.8bn owed to Paris Club creditors. Britain, more willing than other western governments to back Mnangagwa after the disputed election, has signalled that it would back an interim IMF staff programme to help the former British colony quickly address its liabilities. The offer last month came amid government nervousness about lender intentions in the wake of the poll, marred by alleged irregularities and a subsequent violent crackdown by the security forces. Mnangagwa's spokesman, George Charamba, has said the "hostility of the West", principally America, was delaying resolution of the debt question by negatively influencing international financial institutions. 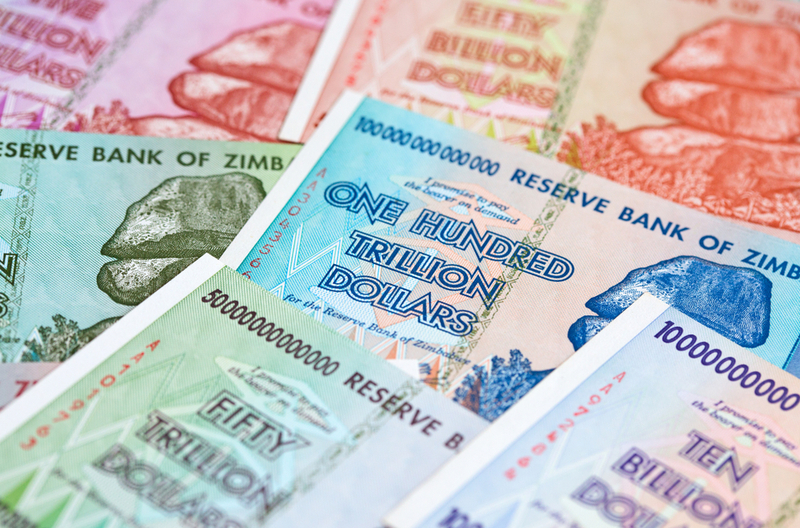 The IMF has said it is prepared to support a major international effort "to revive and integrate" the Zimbabwean economy - but not before Harare addresses the arrears issue. Mnangagwa has so far struggled to do so. A bid to secure a $2bn Chinese bailout has been held up apparently because of concerns over $300m owed on previous loans. The president has also been trying to raise the required funds through international banks although it is not clear how much progress has been made. Central Bank Governor John Mangudya said last month that he expects arrears to be cleared by September 2019, which seems an overly optimistic forecast. An infusion of funding should, in principle, enable the government to tackle urgent infrastructural issues. There has been little investment in roads, railways, power supply and even basic sanitation, as evidenced by the current cholera outbreak in Harare. Mnangagwa has indicated that he would sell bonds to help finance an overhaul of infrastructure, which in its present state is a brake on economic development. The Zimbabwean diaspora community, a major source of foreign currency, remitting some $4bn annually through formal and informal channels, is also keen to embrace opportunities. Last year a Zimbabwean exile organisation the Diaspora Infrastructure Development Group, together with the South African rail company Transnet, won a tender to recapitalise the country's national railways, in a $400m-consortium deal. Notwithstanding the liquidity issues, investors have been generally buoyed by Mnangagwa's ousting of his predecessor. Installed as president last November after a de facto military coup, he is broadly seen as a reform-minded leader, albeit one with unappealing political baggage. A long-time ally of Mugabe, he cannot escape criticism - or, indeed, some responsibility - for the former regime's poor economic stewardship and human rights abuses. Since he came to power, Mnangagwa has introduced reforms in key sectors of the economy, namely mining and agriculture, and sought to make the business environment in general more investor-friendly. In April, it was reported that the government was preparing new legislation that would simplify investment procedures, cut bureaucracy and create a ‘one-stop shop' for investor registration requirements. Some multinationals, such as Coca Cola and General Electric, are reportedly eyeing big investments in Zimbabwe. Mnangagwa said before the election that he had received $15bn worth of foreign investor commitments - though most are believed to be non-binding. A few bilateral and commercial lenders have also sought to engage. In May, Britain said it would loan $100m to Zimbabwean companies struggling to pay for basic inputs because of their lack of access to foreign currency. Then, in September, the London-based emerging market fund Gemcorp Group extended a $250m loan to help the country import essential goods. In the wake of the election, investors and lenders will be looking to see whether Mnangagwa's alleged attempts to sway the poll in his favour and the subsequent crackdown on dissent were temporary aberrations or a sign that he might struggle to throw off the authoritarianism of the Mugabe years. Indeed, some multinationals reportedly postponed fact-finding trips following the ballot while Charamba's comments suggested that lenders have similar concerns. A ‘wait-and-see' approach appears to have set in. Mindful of the damage the authorities' handling of the election has done, Mnangagwa has spoken of reaching out to the opposition and also appointed respected former African Development Bank chief economist Mthuli Ncube as finance minister, to try to lend credibility to his economic plans. The appointment puts a gloss on what the Zimbabwe Independent has described as an "average" cabinet. Ncube is an inspired choice. Yet the challenge for him is not to come up with a recovery strategy, but to persuade ZANU-PF powerbrokers to endorse his policies. 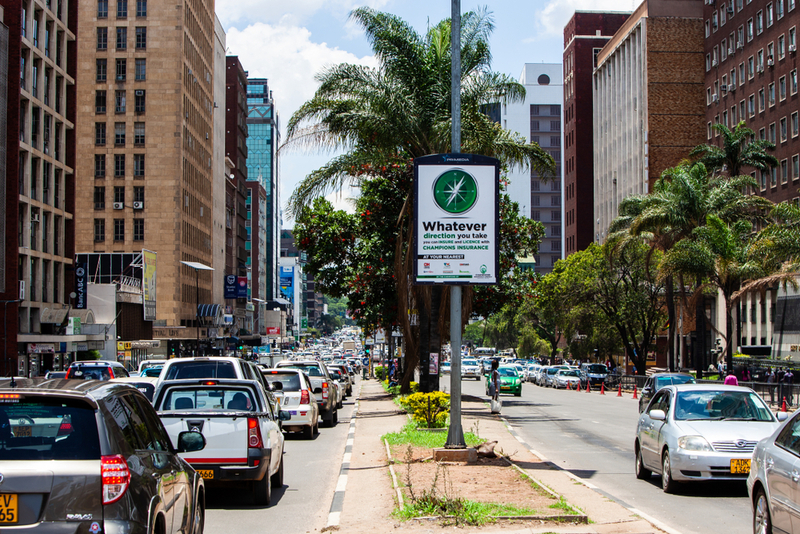 The government this month approved Ncube's economic stabilisation programme, which sets out the first phase of ambitious plans for Zimbabwe to achieve middle-income status within the next 12 years. It includes measures to promote private sector-led economic growth, including strengthening the country's balance of payments, eradicating corruption, simplifying tax administration, privatising some state companies and, critically, reducing the public sector wage bill. The government spends more than 90% of the entire national budget on the salaries and pensions of civil servants. The salary bill was swollen further in July when a 17.5% pay rise for public sector workers was implemented. Cutting the unsustainably high budget deficit - estimated to be 16% of GDP - must be Ncube's central aim, but he will find it hard because, in the words of former finance minister Tendai Biti, "ZANU-PF has an insatiable appetite for expenditure". Yet as Ncube seeks to reassure investors by, at the very least, getting spending under control, he may find himself burdened by another problem - what appears to be an incipient power struggle within ZANU-PF that is already showing signs of frustrating those willing to take a bet on the Zimbabwean economy. Mnangagwa owes his presidency to his powerful deputy Constantino Chiwenga. Last November Chiwenga, the then head of the armed forces, led the military intervention that ousted Mugabe. There is a view that Mnangagwa was only installed as Mugabe's replacement to give the appearance of a political transition when, in fact, it is with Chiwenga that ultimate authority lies. Some believe the post-election security clampdown was driven by Chiwenga, with a chaotic system of parallel government now in place. This, it seems, is particularly frustrating for early investors, as reports suggest they are being caught up in the apparent tug-of-war waged within the Zimbabwean leadership. Several investors told Reuters that middlemen from both camps have been obstructing deals that do not go through their offices. The agency said many have fallen apart, as investors do not know who to talk to. If Ncube is able to assert himself in government, which will require him to navigate effectively ZANU-PF factionalism and vested interests, then he should begin to see increasing revenues being generated by the country's key economic assets - agriculture and mining - which will play a central role in its recovery. Despite being appallingly managed over the years, they remain the principal foreign currency earners and sources of employment. Once one of the most productive and efficient farming sectors in the developing world, Zimbabwean agriculture suffered a near fatal blow in the early 2000s. Mugabe's land reforms, ostensibly aimed at righting colonial wrongs, destroyed the livelihoods of thousands of white commercial farmers. Many of their farms were taken over by ill-equipped, ZANU-PF fellow travellers, contributing to a deep economic crisis, with GDP almost halving between 2000 and 2008. Although much diminished, a measure of agriculture's enduring importance to the Zimbabwean economy is that 70% of the population depend on it for their livelihood, while 33% of the formal workforce is employed in agri-businesses. Several attempts to resuscitate the sector have failed. But Mnangagwa, to his credit, has gone some way to restoring its reputation, in an effort to boost food security. As Mugabe's vice-president, he oversaw a subsidy-based scheme - ‘Command Agriculture' - aimed at medium-sized farms, which last year produced 2.2 million tonnes of maize, the biggest harvest of the country's main staple in twenty years. While favourable rains helped, there is no denying that the programme - in which farmers receive free inputs with the costs deducted from subsequent sales of the crop to the authorities - is reviving Zimbabwean agriculture, and this year it has been extended to further sectors, including livestock, fisheries, cotton and other cash crops. But the scheme has not been without criticism. It reportedly fell short of meeting the country's maize needs. A parliamentary committee found significant implementation problems - such as inputs being delivered late and sold on the black market. Also, the government reportedly paid more than double the regional market rate for farmers' maize and failed to recoup all its costs. Some farmers even bought maize outside the country and sold it for profit to the Grain Marketing Board. Indeed, the IMF has warned that ‘Command Agriculture' could widen the budget deficit. A less heralded agricultural success story - one achieved without government intervention - has been tobacco farming, which accounted for a quarter of Zimbabwe's $3.8bn export earnings in 2017. Funding from private tobacco companies is said to have boosted output, which this year amounted to a record 238 tonnes, worth $696m. The number of farmers producing the crop rose from 81,000 last year to 111,000 this year, most of them running small-scale operations. The industry's success, though, has been marred by reports of extensive child labour on farms and environmental damage caused by the use of firewood for curing, which has led to high levels of deforestation. Tobacco has also been included in the Command Agriculture programme, but its expansion is reportedly threatened by foreign currency shortages. Reports suggest that IMF funds will be predicated in large part on Mnangagwa downsizing the public sector and compensating white farmers whose land was seized during the land reforms. The president is against their reversal but wants existing white farmers - and the ones that lost out - to play a role in the revival of agriculture. He has offered those that remained 99-year leases on their land - the same as their black counterparts - and has pledged to compensate the victims of the expropriations. But arriving at a figure may prove to be problematic. The respected Zimbabwean newspaper the Financial Gazette reported in January that white farmers had tabled a compensation demand of $9bn - which, given the country's current finances, would be impossible to meet, even if Mnangagwa felt it fairly equated to the monetary damage caused by the land reforms. Like agriculture, mining was once a pillar of the economy. The country has abundant mineral reserves, including lithium, gold, chrome and nickel. It has the second-largest deposits of platinum in the world and some of its richest diamond fields. Amid the liquidity crisis, mining's role in staving off economic collapse has been paramount. Last year it contributed $2.8bn in export earnings, over two-thirds of the total. The industry is a big employer too, in both the formal sector, where it provides some 40,000 jobs, and informally, sustaining around 200,000 small-scale and artisanal miners. Yet exploitation of the country's natural resources has been held back over the years by the previous regime's protectionism and rent-seeking. The Indigenisation and Economic Empowerment Act, passed a decade ago, required foreign investors to hand majority-control of their projects to black Zimbabweans, limiting investment in this strategically important sector of the economy. Mnangagwa partially reformed the legislation in one of his first acts following the fall of Mugabe - its provisions now only applying to platinum and diamond mining. Another important reform came in June when the decades-old Mines and Minerals Act was overhauled, providing a dispute resolution mechanism for mining concessions, banning child labour in the industry and effectively legalising the operations of small-scale miners, who produce more than 40% of the country's gold output. A sign of the government's willingness to make concessions to investors was the dropping of plans to require foreign mining companies to list locally. The need to woo investors was underlined in comments made by the head of the Chamber of Mines, Batirai Manhando, at the annual meeting of the organisation in May. He said there had been little exploration since 2000, equipment at most mines was more than 50 years old - severely undermining efficiency and cost-effectiveness - and up to $11bn would be needed to modernise the sector. The scale of the problems coupled with the industry's underperformance has clearly spurred Mnangagwa. He will have been encouraged in March by a major investment breakthrough, a $4.2bn deal with Cyprus-based Karo Resources for the construction of a platinum mine and refinery, Zimbabwe's largest ever mining deal. Moreover, in April, Bloomberg reported that mining investment commitments had reached as much as $6bn since Mnangagwa's appointment, although it cautioned that major producers wanted to see more progress on policy before making big decisions. Nucbe believes agriculture and mining will be the principal drivers of growth this year, which he forecasts at 6.3%, nearly 2% more than the original budget projection. The IMF is not as sanguine, predicting 2.4% this year and 4.2% in 2019. Yet even that would be no small achievement for a country emerging from a period of severe economic chaos. Ncube has already started to sort out the nation's finances, a task he has described as "Herculean". This month he sacked the board of the state tax collector as part of plans to make revenue collection more efficient, increased taxes on electronic financial transactions, and proposed cutting the government's central bank overdraft, used to finance domestic debt. The finance minister has spoken of the need for bold decisions on reforms. There is little doubt that he is prepared to make them - the big question is whether there is the political will for their implementation. "My preference is a fiscal shock, but there is what you call the political collar or the politics of policy-making which then slows you down," he recently said, rather tellingly.